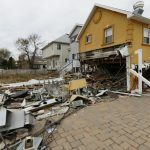 Is your garage door sagging and cracking, almost impossible to lift, or just generally falling apart? Perhaps it’s time to replace it with a new one that’s easy to operate and maintain. 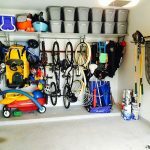 Not only can garage door openers and a new doors provide safe, secure, easy access to your garage, it can renew and refresh your home’s appearance as well. 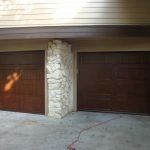 There are two kinds of garage doors common on the market today. The older style, tilt-up garage doors, are popular in older homes because they match older home designs better than sectional designs. Tilt up models consist of a single panel door that pivots out and up, sliding in a single section along the ceiling of your garage. They are available in a stunning number of designs, including some very attractive wood framed varieties that add curb appeal and class to any home. 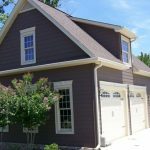 While tilt up garage doors are the door of choice for older homes, sectional garage doors are now the standard door available to homeowners for several reasons. 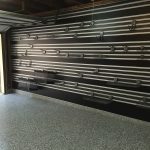 A sectional roll-up door is made of four or more horizontal sections, hinged together, and mounted with rollers on tracks so that the door can roll straight up and back. 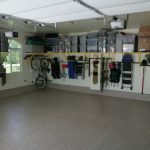 The sectional design allows for the door to take up much less space, both when it comes to head room in the garage when retracted, and when opened up by garage door openers in the driveway. 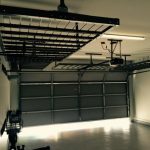 Tilt up models require a significant amount of free space in front of the garage when they are retracted. A sectional door requires no such room, since it retracts straight up on the track. 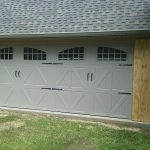 Choosing the type of door for your garage is only the first step in finding the best door for you. 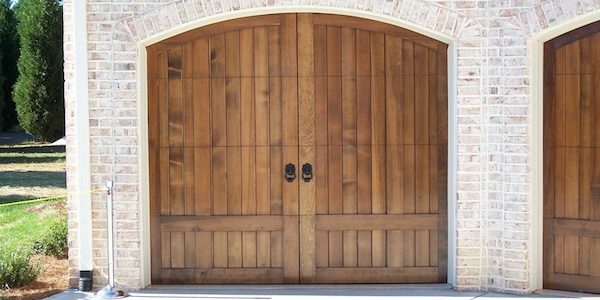 Garage doors are presently made from wood, steel, aluminum, and fiberglass. Each of these materials has its benefits, though wood and steel doors are by far the most popular homeowner choices. Wood doors are preferred more for their appearance than for their durability. Because wood expands, contracts, and can warp or crack as it weathers, it demands regular maintenance. You’ll have to repaint or refinish it every couple of years to keep it in good shape. 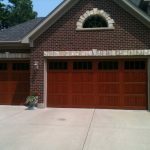 When it comes to looks, however, there isn’t really any comparison to a wood garage door. Steel doors are much stronger and more secure than wood, aluminum, or fiberglass models. And with advancing technology, today’s steel doors can rival the look of wood doors without the need for regular maintenance. They are also great candidates to install a garage door opener with for added convenience. Aluminum doors have enjoyed many of the same design advances as steel. Aluminum single-piece, tilt-up doors, are fairly popular because they are extremely lightweight, will not rust, and are relatively inexpensive. Fiberglass doors actually have an aluminum frame with fiberglass sections. Like aluminum, fiberglass is very lightweight. Other advantages of fiberglass include resistance to salt air corrosion and translucency. 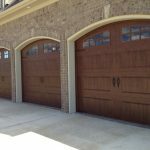 If you’re in need of a new garage door, or are just looking to improve the curb appeal of your home, talk to a door supplier about the best design and materials, and the best garage door openers, for your home and situation. Need new tilt up door, for older home in Norco. I need a replacement of the garage door frame. The door works but the 5×5 wood need replacement. It got water damaged.